How to get there: The mountain summit is located at 76.18.848 north, 26.42.927 west. This is a GPS measurement at the summit. 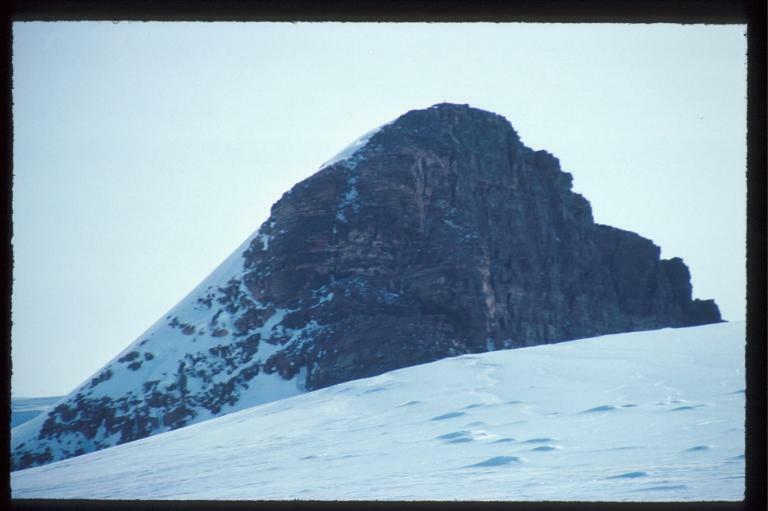 Route description: The mountain was climbed up the south-west ridge. This is about the only place where one can easily access the (red) cliff from the glacier. Comments: The ascent on May 24. 2000 was a first ascent. A cairn was built at the summit. 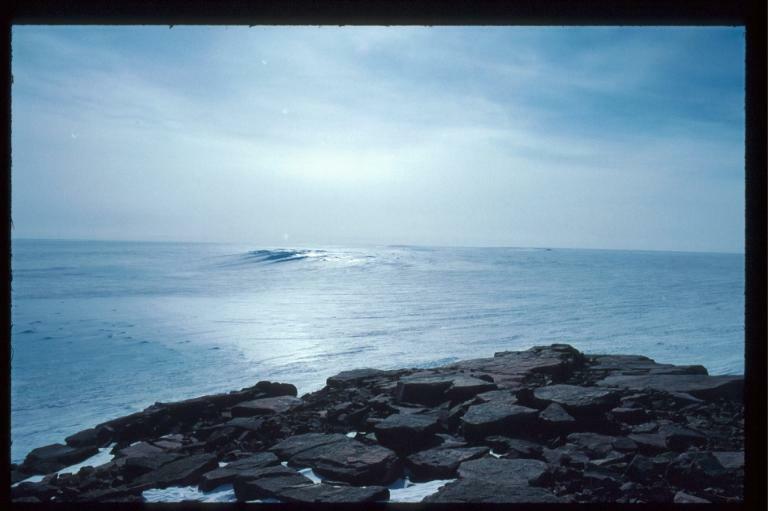 The view was breathtaking, this nunatak is really the last outpost before the vast icecap. The name Dot was inspired by the Internet notation for Punktum (period) that plays the corresponding role further north. 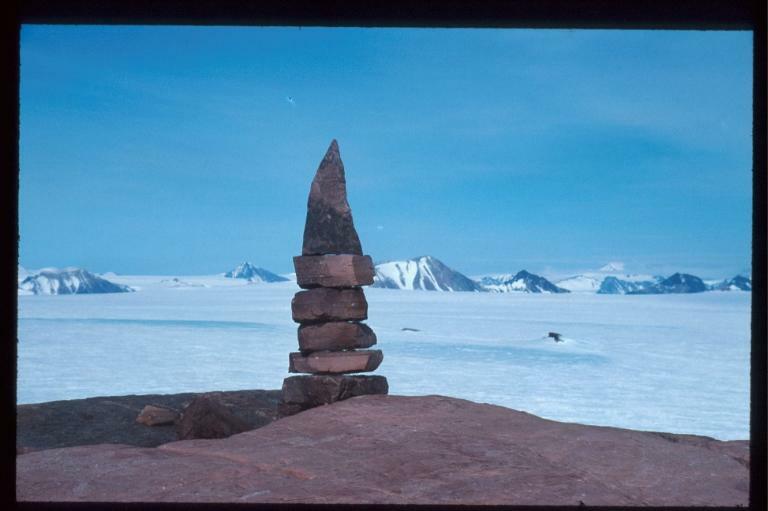 The new cairn on Dot, the view is north-east towards Base Camp. Punktum, as seen from Dot. 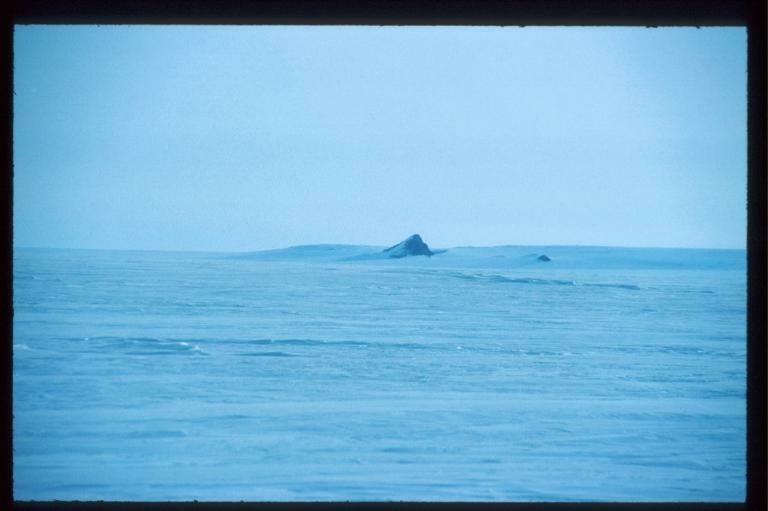 The view west, from Dot, endless, flat ice. 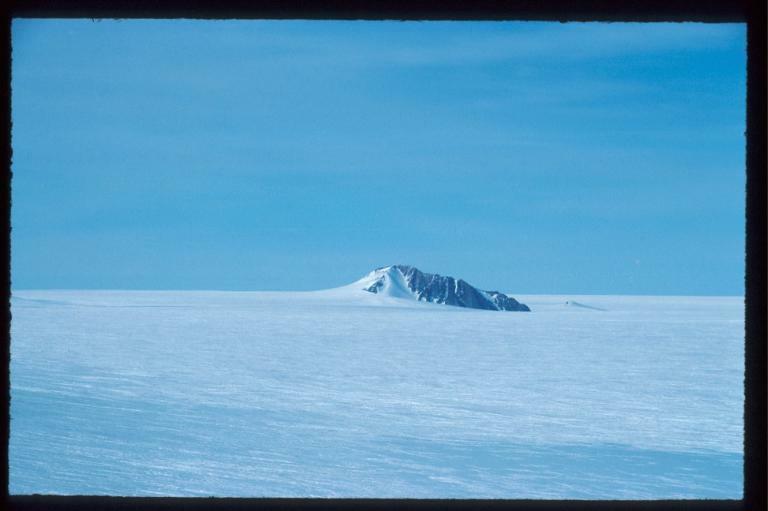 Nunatak Dot, looking back (south-west) when skiing back to Base Camp.